This much is undeniable. Facebook and its creator, Mark Zuckerberg, have been making all the news during the past couple of weeks. Isolated Samoa in the middle of the vast Pacific Ocean is certainly not immune. While Zuckerberg has become deeply embroiled in the raging controversy surrounding data collected by the popular social media platform, here in Samoa, the social network has been giving Prime Minister Tuilaepa and his administration some sleepless nights so that in his rage, the Prime Minister has threatened to ban Zuckerberg’s invention completely. But we’ll come back to that a little later. In the meantime, even when we are thousands of miles away from Silicon Valley and where the U.S. Senate Commerce and Judiciary Committee hearings have been taking place, it’s been hard to escape the drama. Fascinating reading, if you ask this writer. The world media, judging from hundreds of stories, opinions and memes popping up for the past two weeks, has been having a ball. What with the amateurish questions from the Senate, the suit, ears, the haircut to the booster cushion on the seat used, the media had sure found a lot to write. Perhaps they have finally found something to crucify Zuckerberg about and they have not led up. It’s not going to change in a hurry either. But that’s the nature of the beast, isn’t it? Besides, why stop when there is plenty of blood to extract, so to speak. So we can expect this saga to continue for sometime. President Donald Trump would have been mighty relieved though. With Zuckerberg taking all the heat from the world media during the past couple of weeks, at least the story of his “Stormy” Daniel affair appears to be running out of legs. Or perhaps maybe until the world has had enough of the Zuckerberg saga. Either way, these are interesting times. It’s certainly a tough old time for Zuckerberg whose bubble has perhaps finally burst given the amount of scrutiny he’s been subjected to lately. Having spent two days facing scrutiny from U.S. lawmakers, Facebook is bound to come under more scrutiny. According to reports, Facebook’s Chief Technology Officer, Mike Schroepfner, is due to appear before U.K. lawmakers later this month to address the ongoing data scandal enshrouding the company. One of the biggest questions they will have to explain is how Cambridge Analytica harvested the data of millions of Facebook users without their permission to influence U.S. voters during the 2016 presidential elections. There are also questions with links to Russia, U.S., Syria and much more in this controversy. We would certainly be following with a lot of interest how this drama unfolds. Here in Samoa, well it’s fair to say that Facebook has become part of the furniture, hasn’t it? 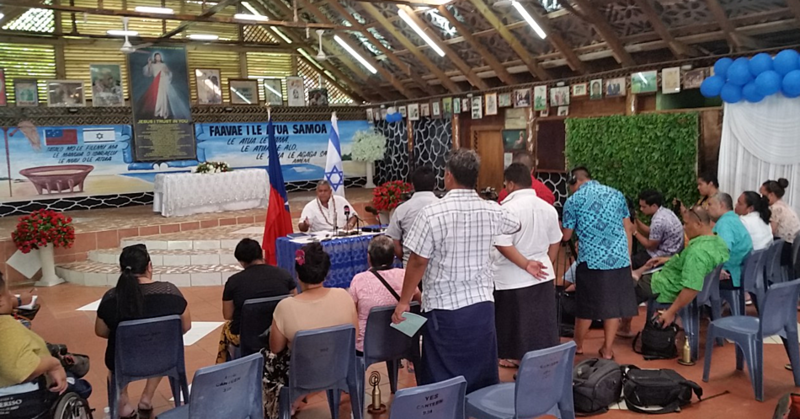 During the past few years, most Samoans have made the platform their daily Bible. Some people can’t go quietly to the toilet, they have to tell the world. But that’s life these days and in some cases, platforms like Facebook has brought out the worst in people. Which makes the latest global developments all the more relevant. 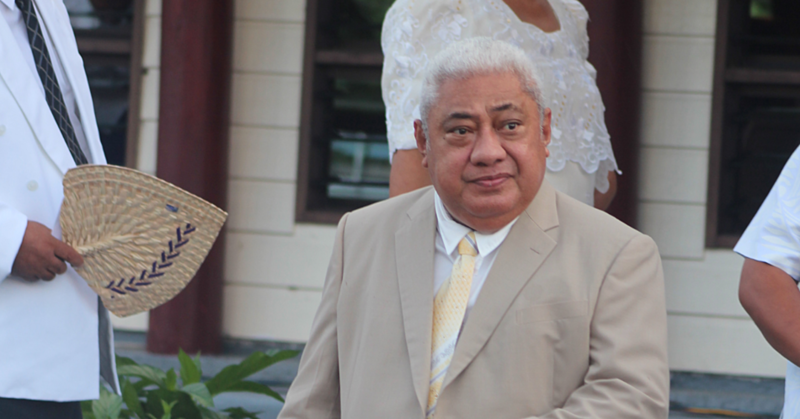 It is no secret that Prime Minister Tuilaepa Sa’ilele Malielegaoi has threated to ban the platform from Samoa completely. Last week, he said “all options remain open” while his Government continues to hunt the “gutless social media misfits” who have been giving Tuilaepa a headache. The Prime Minister reiterated that he has order Attorney General, Lemalu Hermann Retzlaff, to proceed with the legal process to ensure that whoever the ghostwriters must stand trial. “To clear the record, I remain firm that these gutless writers should not get away scot free. I have kept no secret in publicly condemning the miss-use of the social media, which has defeated the genuine purpose behind the government’s investment to improve our I.C.T. capacities for the benefit of the people. But Tuilaepa is disappointed that the “misfits have used the opportunities to vent out that to slander, personal vendetta and unsubstantiated malice posted freely without consequences”. “There is little question when it comes to my vote to support for Facebook and other platforms. I am in favour and that’s why I was behind it from the start, when we pushed for the development of the Internet links to speed up communications with the outside world. These developments are unfolding at a time when Samoa is at the crossroads. Poor Tuilaepa though, he’s copping it from everywhere. From the villages, churches, his baby called rugby is falling apart in front of our eyes and this Facebook saga might just be the final nail in the coffin.